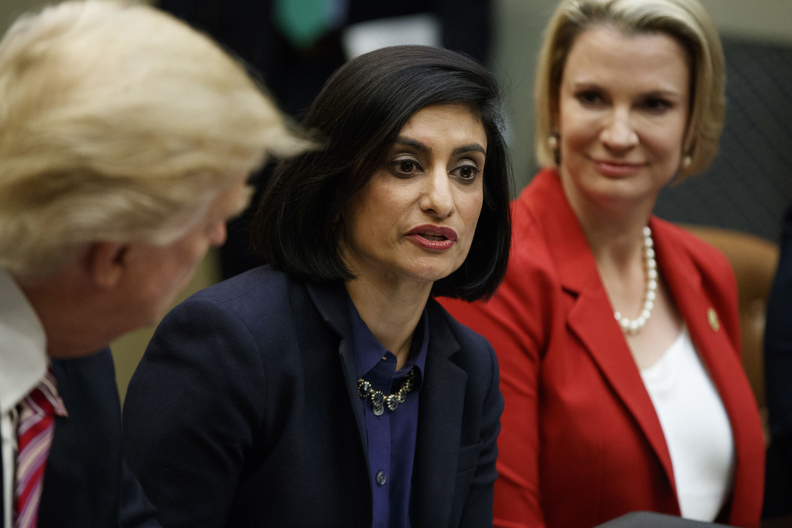 CMS Administrator Seema Verma gave her first update on a major overhaul to the Stark law, saying that a key part of the regulation will remove a barrier to doctors participating in value-based arrangements. A major part of the agency's updates to the anti-kickback law is clarifying areas of noncompliance for doctors and updating the decades-old rules to reflect the shift from a fee-for-service model to value-based care, Verma said during the Federation of American Hospitals' policy conference in Washington Monday. "Some changes include clarifying regulatory definition of volume or value, commercial reasonableness and fair-market value," Verma said of the updated regulation likely to be released later this year. She added that the updated regulation will also address signatures, incorrect dates and other areas of "technical noncompliance." The goal of the update would be to address changes in the healthcare world that include the implementation of electronic health records and cybersecurity. Hospitals and doctors have been clamoring for an update to the Stark law for years. They worry that doctors may violate the Stark law if they refer patients to a hospital or lab that they have a financial relationship with, which could prevent them from participating in value-based arrangements. The CMS in June requested comments on how the Stark law should be modified. Hospitals and providers wrote in more than 300 comments that the CMS needs to overhaul how the agency punishes providers that inadvertently violate the Stark law such as missing a signature or using an incorrect date. The agency also should create an exception for providers in value-based arrangements, some commenters said. HHS' Office of Inspector General also issued a notice in August that the law was a potential barrier to coordinated care. Verma said in her speech Monday that the agency's update will "represent the most significant changes to the Stark law since its inception" in 1989. "It is our hope that these changes will help spur better care coordination and help support our work to remove barriers to innovation," she said.